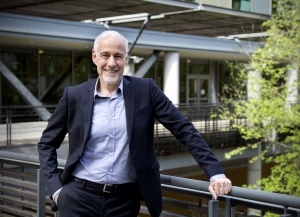 Baskin School of Engineering Welcomes New Dean Alexander Wolf! Alexander Wolf officially took up his position today as dean of the Jack Baskin School of Engineering. Also a Distinguished Professor of Computer Science and Computer Engineering, Professor Wolf will be the School’s sixth dean. Wolf comes to UC Santa Cruz from Imperial College London, where he was a chaired professor in the Department of Computing. Prior to that, he held the Charles Victor Schelke Chair in the College of Engineering and Applied Science at the University of Colorado, Boulder. >> Read the full announcement.